Secretly forced human brain implants connected to computers for mind control is a reality today, one that has shattered lives of hundreds of thousands of innocent victims globally. It is today’s most hidden human rights abuse and Russia has taken the lead to expose it in a TV news program that the host called a “profound” interview with a leading Targeted Individual advocate from Sweden. Recently, a California woman and an expert in the field provided evidence to won the first court case involving today’s mind control cell tower weapon system. Russia Today has broadcast (below) what experts call the best coverage of today’s mind control crime, the old MKUltra on steroids. In the RT program, produced by Daniel Estulin, Deste La Sombra (From the Shadows) Magnus Olsson, a Targeted Individual, explains that today’s secretly forced human chips are as tiny as a few nonometers – and many more shocking details that make Edward Snowden’s disclosures seem sophomoric. With the original title, Control mental. El sueño dorado de los dueños del mundo, (Mind control. The golden dream of the world’s masters) — broadcasted to some 10 million people — was one of the biggest victories for victims of implant technologies so far, thanks to Magnus Olsson. Olsson, despite victimized himself, worked several years to expose this crime. He agrees with Dupré that this is the “biggest human rights abuses of our times:” connecting people against their will and knowledge to computers via implants of the size of a few nanometers – leading to complete destruction of not only the victims’ lives and health, but also their personalities and identities. There is complete amnesia about its early development, according to Olsson. The CIA funded experiments on people without consent through leading universities and by hiring prominent neuroscientists of that time. These experiments have since the 50s been brutal, destroying every aspect of a person’s life, while hiding behind curtains of National Security and secrecy but also behind psychiatry diagnosis. 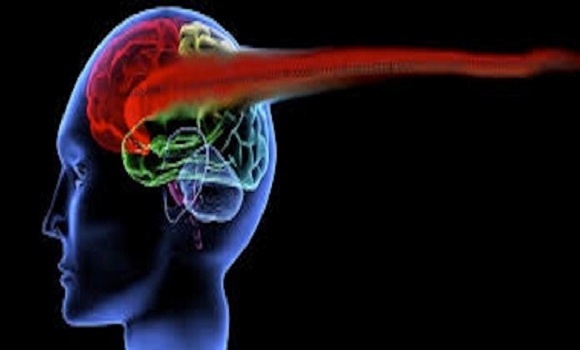 The results of today’s mind control — mind reading, thought police, surveillance, pre-crime, behavior modification, control of citizen’s behavior; tastes, dreams, feelings and wishes; identities; personalities and not to mention the ability to torture and kill anyone from a distance — are completely ignored, dismissed, often even mocked by professionals. All the important ethical issues regarding the most special aspects of being a free human being living a full human life are dismissed. “The praise of the machine in these discourses dealing with not only transhumanism ideals but also neuroscience today has a cost and that is complete disrespect, despise and underestimation of human beings, at least when it comes to their bodies, abilities and biological functions,” Olsson says. “The brain is seen as the only valuable thing; not just because of its complexity and mysteries, but also because it can create consciousness and awareness. Individual free will and personal identity have been discussed and the point of view of Martin Ingvar was alligned with José Delgado’s some 60 years ago – a buried history of mind control: We don’t really have any choice, we’re not really having a free will or for that matter any consistent personality. Olsson says that would be enough reason to change humans to whatever “someone else” wishes. For example, an elite. Brain implants are obviously important, according to Olsson, giving evidence both in the US and the EU. In a Before It’s News Exclusive, Dupré wrote about Nicholas West’s shocking new article, Wireless Microchip Implant Set For Human Trials and a Targeted Individual, who had reached out to Deborah and an Australian surveillance expert. Ray Kurzweil predictions about future technological developments have been correct thusfar. Now, he claims that in only 20 years, implant-technology will have advanced to the point that it will completely transform humanity. I had a microdevice on the right eye nerve. The bush/gore nsa service implanted the chip Word wide in every Child since 2006 ie by abuse of schools schooltrips and hospitals. It seems a close range visual spy device activated at chosen targets with close range receivers. Smaller than a grain of sand. Russia itself has also been psychotronic weapons and been researching such electromagnetic weapons for decades and even broadcast ‘the woodpecker’ over Western Europe during the 1970; and 1980’s. The aim of microchip implants is total surveillance and control including giving the human with the microchip implant ever increasing levels of electric shocks to pacify or even neutralise those who would resist control by militarised law enforcement of the New World Order. The chip will be used by the ruling elite to permanently eliminate all groups that oppose them in any given area. It should be noted that those who become implanted are NOT and will never be subject to eternal damnation.